22 June to 30 July, Zuiderweg, Veendam, Groningen, male, photographed, sound-recorded (E Klunder, A B van den Berg, M S Robb; Dutch Birding 21: 177, plate 185, 1999). 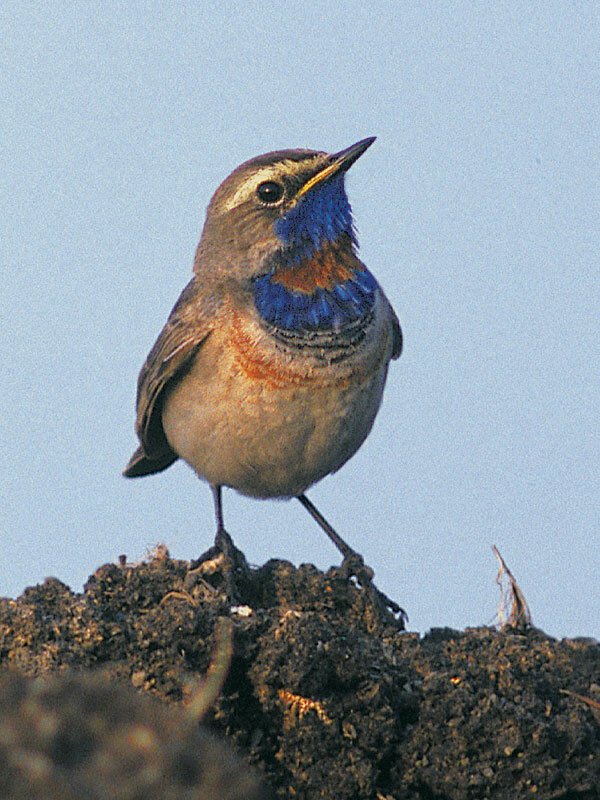 In 1999, the CDNA stated that, generally, bluethroats can only be identified with certainty in spring. 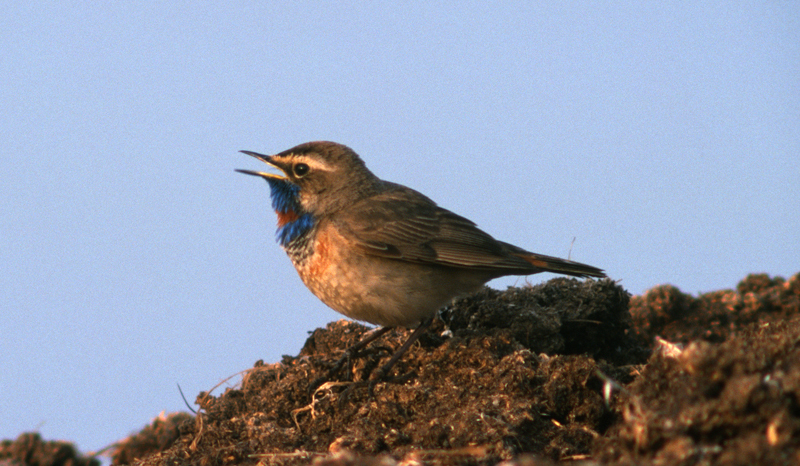 Statistically, it seems likely that nearly all bluethroats trapped in autumn concern Red-spotted Bluethroat but, because of overlap in measurements, only very obvious individuals are identifiable (Kees Roselaar in litt). 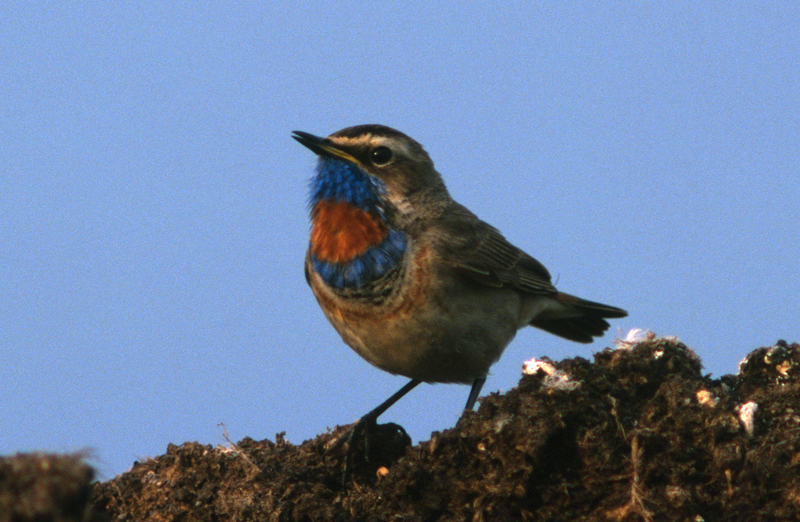 Although 21 trapped autumn birds in 1958-74 have been reported as Red-spotted (cf van den Berg & Bosman 1999), none was sufficiently documented to give certainty about the identification. Annual Report 1999.